The Slippery Rock University football team signed 27 student-athletes Tuesday during National Signing Day. The Rock signed five transfers and 22 high school seniors, including Butler’s Sam Enslen. Enslen was a two-year starter on the offensive line. Among the transfers were Seton Hill’s starting running back last season, a defensive back from IUP and wide receiver Brandon Clark who transfers in to The Rock from Penn State. Clark’s dad Bruce was a Penn State standout and went on to play in the NFL. The IUP basketball teams swept Slippery Rock Wednesday. The Rock men fell 77-48 to the #6-ranked Crimson Hawks. The Rock lost All-American Micah Till to an injury in the first half. With the win, IUP takes a full-game lead over Slippery Rock in the PSAC-West. 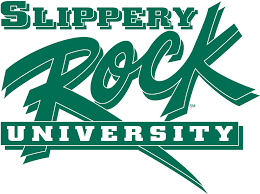 It was the worst shooting performance for Slippery Rock in nine years. They shot just 21 percent from the field. The Rock women fell to the #4-ranked Crimson Hawks 88-51.